Get 2 gifts per day! Santa Claus is coming to NordicBet every day until Christmas Eve! We had the first four days of this year’s Christmas Calendar filled with festive surprises that generously rewarded loyal players. But that was only the start as there will be another 20 days with two presents waiting every day, one for the Casino and one for the Sportsbook. 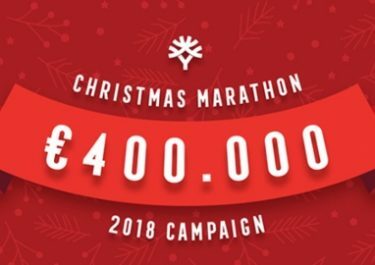 Plus every claimed present will award one ticket to the Grand Christmas Raffle on 27th December 2017 where two lucky players will win One Million Kroner or €100,000 Euro. Collect as many tickets as possible to increase your chances to win one of the main prizes. Exclusive for players from Denmark, Finland, Norway and Sweden. 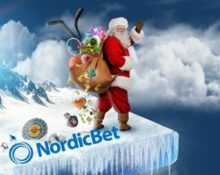 Get ready for an exciting Christmas month as NordicBet launched their festive calendar on 1st December 2017. Each and every day until Christmas Eve, players can open two presents for the Casino and Sportsbook. For every claimed present, they will also get one ticket to the raffle on 27th December 2017, where two players win €100,000 each. That means two tickets can be earned every day for a total 48 tickets, so make sure to get as many as possible and increase the chances to become a kroner millionaire. Casino Present – Wager minimum €5 on Pink Elephants to get an equal share of the 5,000 Free Spins prize pool, credited by 18:00 CET on Wednesday. Wagering requirement is 35x Free Spin winnings within three days, subject to the NordicBet casino bonus terms and conditions. Sportsbook Present – Place one €10 pre-match bet with minimum 1.50 odds on any of today’s Champions League games to instantly receive a €10 Free Bet that can be placed on any Champions League game from today or tomorrow. Only winnings from the Free Bet will be paid out as bonus with a 3x wagering requirement at minimum odds of 1.50 within 14 days. NordicBet Sportsbook bonus terms apply. Casino Present – Wager minimum €10 on any game in the Casino or Live Casino, then check your NordicBet inbox for a surprise reward. Sportsbook Present – The TOP20 players with the highest odds on a winning coupon will win. Minimum bet is €5.00. TOP5 will each win 2 tickets for the NordicBet VIP lounge to Manchester United – Stoke City, including catering and drinks, excluding travel and accommodation. Players from 6th to 10th place will receive a €50 Risk Free Bet and 11th to 20th a €20 Risk Free Bet. Terms and conditions apply. Casino Present – Get a 100% cashback bonus on net losses when playing Arcade Bomb, up to €50. Cashback is calculated as “bets – wins = net loss” and is credited by 01:00CET on Friday with a 10x wagering requirement within 5 days, subject to the NordicBet casino bonus terms and conditions. Sportsbook Present – Place a €10 pre-match bet with at least three selections (all at minimum odds 1,40) from the Europa League to instantly receive a €10 Free Live Bet. Only winnings from the Free Bet will be paid out as bonus with a 3x wagering requirement at minimum odds of 1.50 within 14 days. NordicBet Sportsbook bonus terms apply. 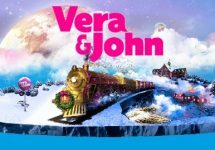 Casino Present – Deposit €10 to instantly receive 50 Free Spins on Hugo 2. Wagering requirement is 35x FS winnings within three days, subject to the NordicBet casino bonus terms and conditions. Sportsbook Present – Get a €5 risk-free bet that can be placed on any sports event. Enough funds must be available in the account before placing the bet. In case the bet is lost, NordicBet will refund the €5 as cash. In case the bet is a win, then NordicBet will credit the winnings including the stake as bonus with a wagering requirement of 3x total bet winnings at minimum 1.50 odds within 14 days. Casino Present – Wager minimum €10 on Twin Spin to instantly receive 20 Free Spins on the same game. WR is 35x FS winnings within three days, subject to the NordicBet casino bonus terms and conditions. Sportsbook Present – Wager €50 on Sports from your mobile with minimum odds of 1.50 to instantly receive a €20 Free Bet, that can be used until midnight today. Only winnings from the Free Bet excluding the stake will be paid out as bonus with a 3x wagering requirement at minimum odds of 1.50 within 14 days. NordicBet Sportsbook bonus terms apply. 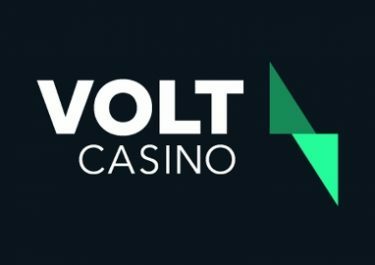 Casino Present – Play on the Exclusive Live Roulette table from Evolution Gaming and get a €10 bonus if the ball lands on number 10 and you have an active bet for the round, irrespective on what that bet is placed on. Minimum bet is €1.00. Bonus will be credited by 17:00 CET on Monday with a 10x wagering requirement in the casino or live casino, subject to the NordicBet casino bonus terms and conditions. Sportsbook Present – Bet €20 on NBA, NHL or NFL with minimum odds of 1.50 today to instantly receive a €10 Free Bet. Both must be placed before 23:59 CET. Only winnings from the Free Bet excluding the stake will be paid out as bonus with a 3x wagering requirement at minimum odds of 1.50 within 14 days. NordicBet Sportsbook bonus terms apply. Check back tomorrow when we reveal the next festive surprises.